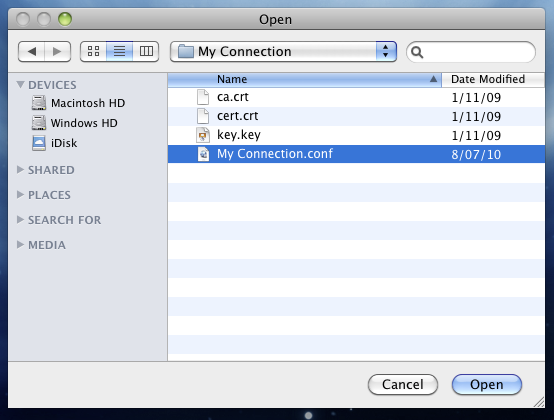 Download ZIP-file with OpenVPN keys and configuration file from the member page. 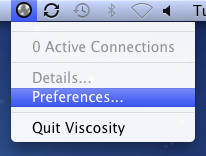 Go to the Viscosity menu and select "Preferences…".The preferences window should appear. 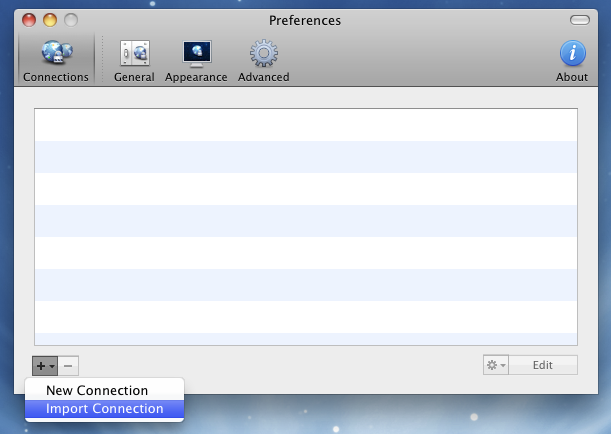 Make sure the "Connections" toolbar item is selected, and then click the "+" button in the bottom left hand corner of the window. Select "Import Connection" from the menu that appears. 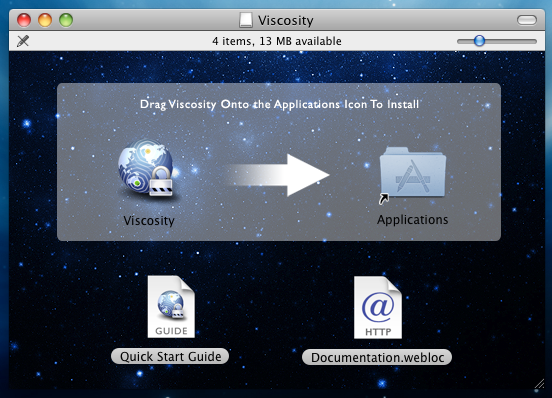 Select the connection bundle (.visc) or OpenVPN configuration file (.ovpn or .conf) contained in the download. Click the Open button. Click the OK button to confirm the connection has been imported. 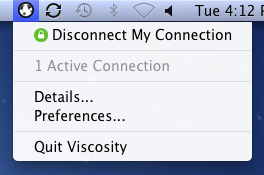 Your connection will now appear in the Viscosity menu. Repeat the above steps to import any more connections. 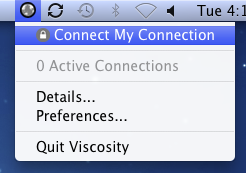 Go to the Viscosity menu and select your connection. The menu icon will update to let you know when your new connection has connected. 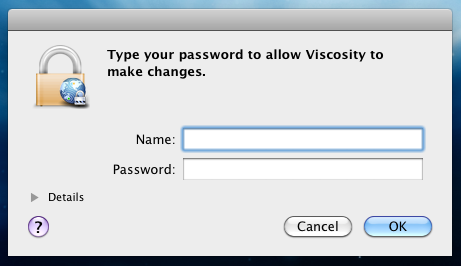 To disconnect your connection when done, go to the Viscosity menu and select your connection again.